WOW!!! Country living 5 minutes from downtown!! Feel like you are out in the backwoods...drink your coffee on the screened lanai and listen to the birds and the crickets chirping...then go shopping or eat out in a matter of minutes!! All is good in the world!! Home has formal living and dining areas along with a great family room/den with a woodburning fireplace! Good sized bedrooms and lots of closets...master has a second bedroom attached...great for a nursery or a private office! It even has a huge walk-in closet too! 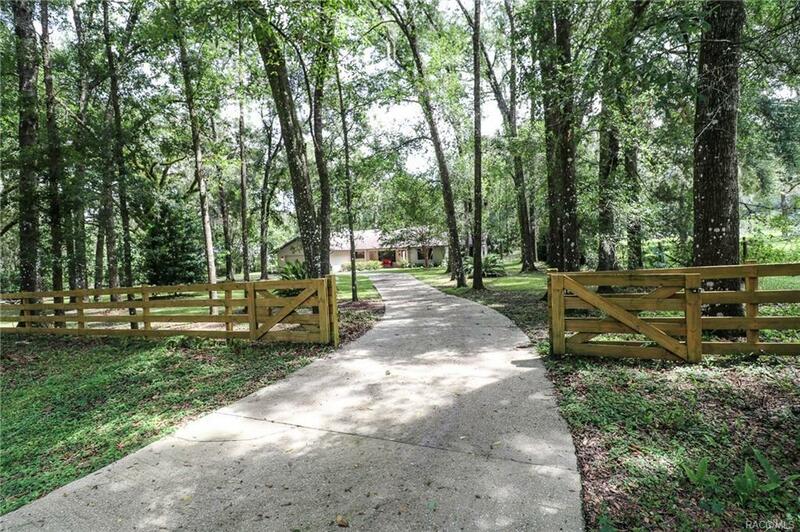 Circular driveway and beautiful mature trees as you enter the fully fenced property. Great yard for kids and/or pets!! Screened lanai on the back leading to another tree lined retreat in the back yard!! Great for entertaining...Property is close to the lakes, the Withlacoochee bicycle trail and other great area attractions. Don't let this one slip away! Call today! !